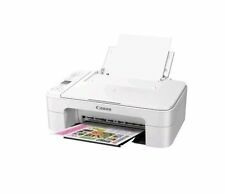 Canon Pixma MG2922 WIRELESS All-In-One Inkjet Printer Brand New! With AirPrint and Google Cloud Print, it makes it easy to print wirelessly from your favorite devices. 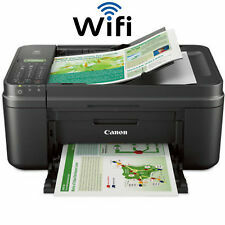 Canon Pixma TS3122 US Wh/Blk Wireless Inkjet All-in-One Printer Printer Print Speed (up to) 4 x 6 Photo: Approx. 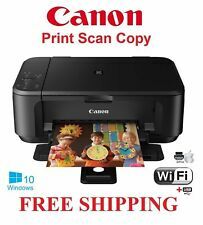 4.5 out of 5 stars - NEW Canon Pixma MG3620/3520 Wireless All-In-One photo Printer/copyer/scaner-NEW! 452 product ratings452 product ratings - NEW Canon Pixma MG3620/3520 Wireless All-In-One photo Printer/copyer/scaner-NEW! Canon PIXMA MG2522 All-In-One Printer. NOT A WIRELESS PRINTER. Get started ›. NO INK INCLUDED. Standard INK you need to buy. Prints up to 8.0 ESAT ipm in black, up to 4.0 ESAT ipm in color . 246 - Color. Trending at $25.68eBay determines this price through a machine learned model of the product's sale prices within the last 90 days. Automatic Sheet Feeder. Matte: Matte Photo Paper;. Super High Gloss: Photo Paper Pro Platinum;. Printer Features. Print Speed (up to). Print Speed (Approx). CLI-251 Y XL XL Yellow. Plain: Plain Paper, High Resolution Paper;. 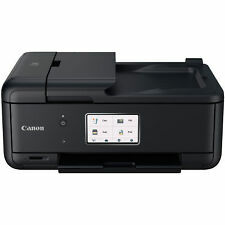 5 out of 5 stars - NEW Canon MX492(3120) wireless All in one Printer/Copyer/Scaner-FAX set-NEW!! 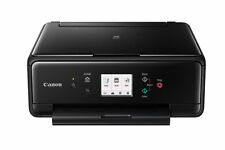 18 product ratings18 product ratings - NEW Canon MX492(3120) wireless All in one Printer/Copyer/Scaner-FAX set-NEW!! This black Canon PIXMA inkjet all-in-one printer is wireless for easy office setup. Fast print speeds up to 15 ISO ipm in black, up to 10 ISO ipm in color; creates a 4" x 6" photo-quality print in as little as 21 seconds . Save room on your desktop with this compact Canon PIXMA all-in-one printer. Connect computers or devices easily with built-in Wi-Fi. The printer monitors its own ink levels, so you'll only receive ink when you need it. You will receive the Canon PIXMA MX492 series Wireless Inkjet Printer/Scanner/Copier/Fax All-In-One. The PIXMA MX492 Wireless Inkjet All-In-One. 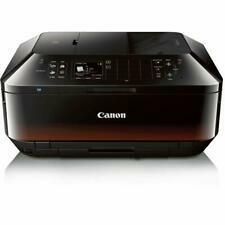 Canon PIXMA MX492 series Wireless Inkjet Printer/Scanner/Copier/ Fax All-In-One. PIXMA G4210 Wireless All-In-One Printer. This Canon PIXMA printer lets you print from your smartphone or tablet via the Canon PRINT app. Fast print speeds up to 8.8 ISO ppm in black, up to 5 ISO ppm in color; creates a 4" x 6" photo-quality print in as little as 60 seconds . Print from any room in the house with this Wi-Fi compatible Canon PIXMA printer. Connect computers or devices easily with built-in Wi-Fi. The printer monitors its own ink levels, so you'll only receive ink when you need it. PIXMA MG3620 Wireless Inkjet All-In-One Printer. An excellent all-in-one printer with great print quality. This multifunction printer allows you to print and scan from around the house with its wireless capability and USB connectivity all without without sacrificing too much of your valuable desk space. Print, scan and fax with this Canon PIXMA wireless all-in-one printer. This Canon PIXMA wireless all-in-one printer has automatic duplexing to save you money on supplies and produces clear photo prints. Canon PIXMA MG5220 All-In-One Inkjet Printer Great Condition FULLY TESTED . Condition is Used. Shipped with USPS Parcel Select Ground. This printer has light scratches on top cover and side corner, please see ALL photos...however the light scratches do not compromise the integrity of the print job. This printer has been tested for printing,scanning and copying functions and they all work. It comes with FULL black and color ink cartridges. What you see is what you will get, it also comes with power cord and data connecting cord. It just needs a new home. 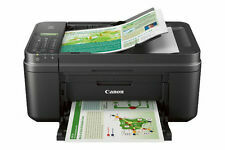 Canon PIXMA MX870 All-In-One Inkjet Printer . Condition is Used. Shipped with USPS Parcel Select Ground. Very good condition. Will ship in original box, with protective corners. Cords and spare cartridges included, as shown. No maual or cd. Do it all with this Canon PIXMA inkjet all-in-one wireless printer. This black Canon PIXMA inkjet all-in-one wireless printer has an SD slot so you can quickly print photos. Fast print speeds up to 15 ISO ipm in black, up to 10 ISO ipm in color; creates a 4" x 6" photo-quality print in as little as 17 seconds . Printer Type Inkjet. Includes all-in-one printer, three 4" x 6" photo paper samples, setup CD-ROM, full set of standard ink tanks, power cord. Printer FunctionAll-In-One. Wireless Yes. IncludesAll-In-One Printer, Three 4" x 6" Photo Paper Samples, Setup CD-ROM, Full Set of Standard Ink Tanks, Power Cord. PIXMA MG2522 Printer Driver & Setup Software. Includes USB cable for hooking directly to a computer. Includes color and black ink. Printer Features. Ink Compatibility. CL-246 /CL-244: Dye Based Color Ink. With the PIXMA TS8120 never compromise on speed or quality. With intuitive features like the 4.3" LCD touchscreen and Bluetooth printing4, it's clear to see why the PIXMA TS8120 makes printing fast and easy. Model: K7V40A. Manufacturer #: K7V40A#B1H. Model: OfficeJet 3830. Product Line: Officejet. Connect your smartphone or tablet directly to your printer. 2.2" touchscreen mono display. Print from multiple computers. With AirPrint and Google Cloud Print, it makes it easy to print wirelessly from your favorite devices. Auto power on/off turns on the Canon all-in-one inkjet printer when printing from a smartphone, then turns printer off when done printing.